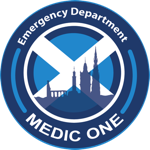 Edinburgh Emergency Medicine - A year of innovation in the ED- the final workstream! A year of innovation in the ED- the final workstream! Over the last few blogs we have been looking at the work of the ‘Kaizen chiefs’ in improving processes within the ED. We have discussed the work around both the patient journey and around the measurement and presentation of performance data. The final workstream looked at Communication and Recognition both within the ED team and from a patient perspective. This is a tough area to try and improve; there are no good, objective measures and no single solution fits every personality. To start with the easy bit…the patients! Patient feedback forms are becoming part of the norm in the ED. We used the data collected from these and from our patient journey mapping to highlight areas for improvement. The results from the initial surveys were humbling. The patients were, and still are, complete fans of our service. The ongoing collection of this data, combined with the information gained through the compliments and complaints process, allows us to continually monitor our performance against patient expectation and to make improvements where required. A staff survey was carried out and presented at the Kaizen events. Many of the comments revolved around communication between the various disciplines in the ED, this was felt to be variable and character dependant. In response to this we set up an ED huddle. Every morning representatives from each ED discipline gather to discuss staffing, any departmental issues and any hospital issues that may affect the running of the ED that day. This information is then fed back to the teams. The huddle has been a huge success, communication between the teams has improved and its membership has now extended to include our colleagues from Acute Medicine with whom we have a close working relationship. Communication at shop floor level has definitely improved. We have also worked hard to improve communication on a larger scale with the website, twitter account, facebook page and for the less technologically savvy a departmental newsletter and monthly meeting. A recognition system has been put in place so staff can nominate colleagues who they feel have improved the working environment. The first reward went to one of the portering staff who was nominated by a number of members of staff for continually working above and beyond the call of duty. Have these measures improved our work environment? I feel they have….but I can’t prove it. The staff survey was re-run. The big positive was that the proportion of staff who believe we offer good or excellent care to our patients increased significantly. On all other levels there was not much change. I don’t know if the results reflect the general feeling. Having discussed the results with professionals who work in other fields, where staff feedback is part of the culture, I wonder whether we are looking at the data the wrong way. They all have ‘industry averages’ to compare their results against. They felt that our survey results were really positive. Perhaps we are too used to chasing that elusive 95%.....what proportion of staff does report feeling a valued member of the team at any given point? I’m interested in your views and/or experiences. How should/could we measure staff satisfaction and engagement? How can we make our work environment more pleasant and welcoming? Answers on a tweet to @edinburghEM or @SLR_EM…via the facebook page….or you can email via the website. Thanks for reading…and I look forward to your thoughts.